The area where the project INSIGHTS is implemented offers exceptional potential for slow tourism, the fastest growing segment of the global tourism industry attracting both youth and aging population. At the same time, the rising tourism demand can endanger the rich and delicate nature and valuable local assets of these rural destinations. 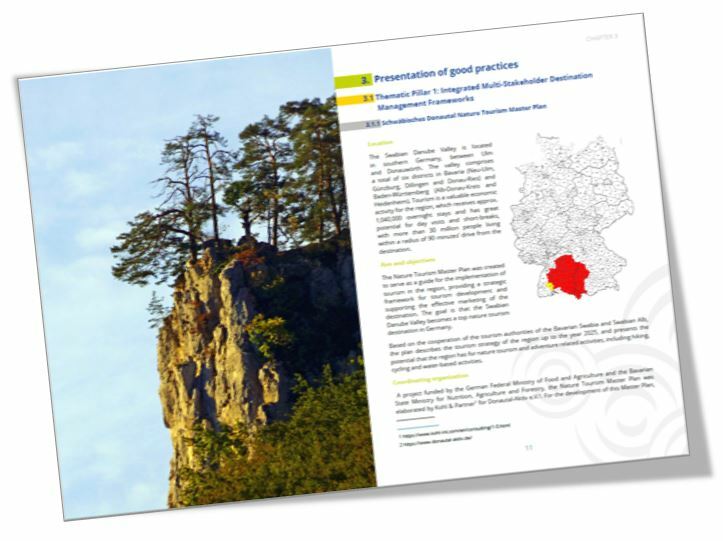 INSiGHTS focuses on the Danube region, commonly characterised by impressive natural and cultural heritage, and provides guidelines on regional strategy building and related transnational policy recommendations in order to support these destinations to focus on more sustainable, eco-friendly forms of tourism. While there are a number of tourism strategies and programmes highlighting the need for sustainable tourism development in the Danube-region, specific strategies targeting sustainable tourism are relatively rare. INSiGHTS aims to change this situation by providing Guidelines on regional strategy building and related transnational policy recommendations. The overall objective of the project is to foster sustainable utilisation of natural and cultural heritage of the involved areas in the Danube region in order to preserve and upgrade the intact local resources providing an outstanding potential to make these areas attractive destinations for healthy and slow tourism and thus serve as foundation for a flourishing responsible green tourism sector. Stimulating eco-conscious and healthy lifestyle through green tourism. The purpose of the collection of good practices is to show exceptional examples of state-of-theart good practices in slow, green and healthy tourism that can serve as a guide for the Danube region. While there was a strong focus on the Danube region during the selection process, the good practices selected are from all over the globe. The aim is to contribute to the sustainable development of slow, green and healthy tourism, and hence, it makes no sense to limit the search to a particular area, as the experiences from other areas of the world can serve as illustrations to the Danube region. During 2017, project partner CEEweb undertook research on state-of-the-art good practices in slow, green and healthy tourism. Following the standards agreed by the partners, a number of practices were pre-selected based on their potential to become an example to follow. These practices were then analysed and evaluated, and a total of 15 (5 per Thematic Pillar) outstanding examples were finally selected. The State-of-the Art Good Practices document presents details of these 15 good practices.